Cemetery grounds are open 7 days a week from dawn to dusk for visitation. entombment in the mausoleum, and placing cremated remains in columbarium niches. Do Not place decorative stones, pebbles, or objects around headstones or markers. No artificial flowers or wreaths are permitted from April 1 to October 31. Fresh flowers are welcomed year-around. No wreaths, flowers, decorations, or personal items on the Mausoleum walls. No pets are permitted on cemetery grounds. The flower planting area should not extend out more than 18" in front of the headstone or be any wider than the grave markers. All footstones have to be at ground level. No flowers at footstones. No shrub planting. All existing shrubs cannot extend beyond the grave line or above the headstone. The cemetery committee reserves the right to remove objects, ornaments, plants, flowers, and lights if and when they become unsightly or do not conform to the cemetery décor. 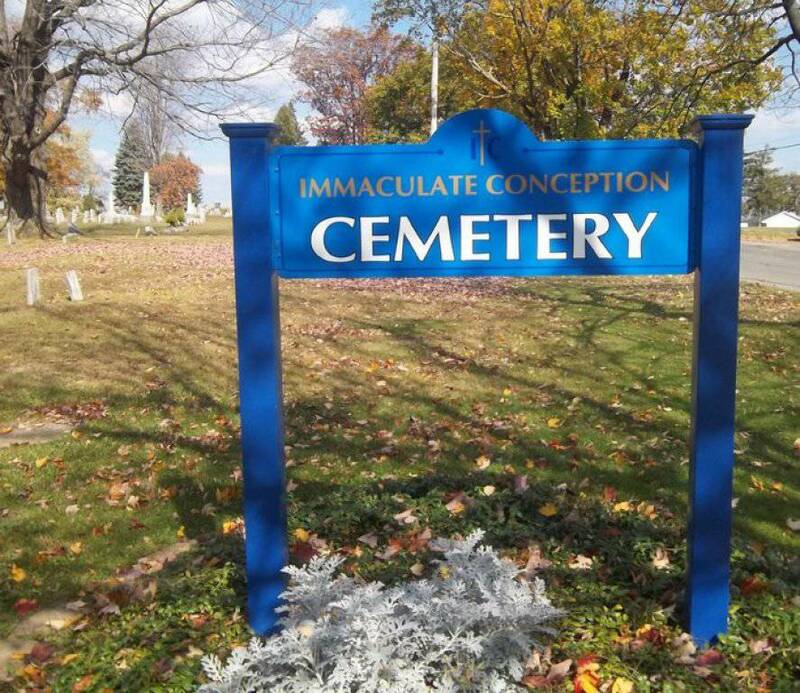 Questions: Ask any member of the Cemetery Board.